Free interpretation using the official Zeiss history website. On 17 November 1846, the 30-year old mechanic Carl Zeiss opened a workshop and a small store in Jenas Neugasse No. 7. 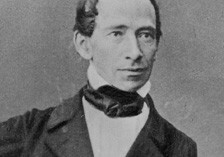 In just a few months, Zeiss, who not only had a solid theoretical basis and good practical experience, but was also well acquainted with scientists and mathematicians at the University of Jena, had already found clientele for whom he repaired scientific instruments or produced them according to the customers specifications. At the beginning of the 1850s, there was an increase in the demand for observation instruments from the Zeiss Workshops, which now enjoyed a good reputation among microscopists due to their meticulous workmanship. In the second half of the 1860s, Zeiss persuaded private lecturer for physics at the University of Jena, Ernst Abbe, to tackle the task of creating a mathematical foundation for designing microscope objectives. 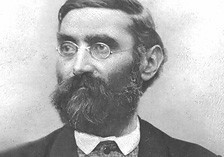 Abbe brought mathematics into the production of lenses. In 1889, one year after the death of Carl Zeiss, Ernst Abbe was prompted to create the Carl Zeiss Foundation, to which he transferred his own share of the assets in the optical workshop and the Jena glassworks in 1891. The Photo-optics department also founded in 1890 already launched the first photo-optical lens on the market in its first year of existence. In 1902, after a decade of intensive work, the Tessar lens, the "eagle eye" of the camera, was presented. This universal camera lens was further developed in many different versions. In June 1914, the Zeiss Works employed 5.280 people. In the years of the Nazi dictatorship, the companys scientific and production potential was increasingly focused on equipping the German armed forces. Airplanes, submarines, tanks and guns were fitted with Zeiss instruments. After the unconditional surrender of the German armed forces, the allies also held Zeiss responsible for its contribution to the preparation and conducting of the Nazi war of aggression. The Americans, who occupied the Zeiss Works from April to June 1945, requisitioned patents, design documents and special production equipment. They weakened the potential of the company by deporting leading specialist staff to Heidenheim a.d. Brenz in the West. In 1946/47, the Soviet occupation power dismantled all production equipment and took scientists, engineers and specialist staff to the USSR. In 1947 the Jena factory was nationalized in the D.D.R. and in Western Germany a new factory in Oberkochen was built. So in these days there were two Zeiss locations. In 1987, VEB Carl Zeiss Jena employed 32.378 people, while Oberkochen had a workforce of 8.278. Despite the similarity of the two Zeiss locations in the field of science and technology, it must be stressed that their workforces worked under totally different political, economical and social conditions. There was a battle for the logo. After the fall of the Iron curtain (Berlin wall) both compagnies had the reunification in 1991. Now it still is an important factory that produces high quality optical instruments of all sorts.